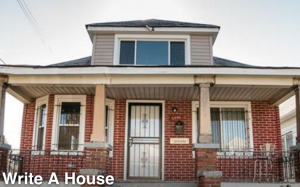 Launched in 2012, the Write a House program in Detroit has been creating a writers’ residency like no other. After buying up vacant homes, the organization renovates them – with the help of youths in vocational training – and invites a writer to move in. After two years of residency, the writer is given the house for good. So far, the organization has awarded homes to two writers and hopes to grow its program to three homes per year. Its first writer-in-residence, Casey Rocheteau, moved into the home in 2014. A poet from Brooklyn, Rocheteau released a new book, The Dozens, last month. The program recently announced its second award winner, Liana Aghajanian, a freelance journalist living in Los Angeles. Born in Tehran, Aghajanian has traveled the world covering stories for international news outlets, including a profile of botanist Mark Dimmitt for The Guardian. Know of any writers who would be interested in the program? The next round of applications will be opening soon. Meanwhile, PlaceInvaders is hosting a pop-up dinner to benefit the program on May 1st in Detroit. 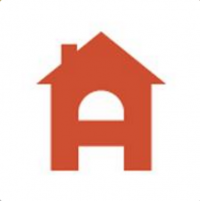 You can check out the Write A House Facebook page and Twitter account for updates.